Home » Building Block » Free Open Source Hardware: Build Your Own Computer, Mobile Phone, and Car! The days when artisans could build their own tools using basic knowledge on how that worktool is supposed to work and how to build it using off-shelf materials is back. But instead of just building wood shavers or chisels and hammers, the modern age artisan and DIY aficionado can now build their own mobile phone, their own 3D printer, and even their own vehicle--a street legal roadster just using open source hardware blueprints made available to the public by the community of sharing economy advocates. We already know about the Open Source Ecology movement where free blueprints using universal knowledge about how work tools can be made are available online from their library as a resource for making your own means of making a living or building a community. For DIY enthusiasts, this is a major boon and a paradise of free know-how and universally shared technology that everyone can use. Another similar endeavor to the Open Source Ecology movement is the Free Open Source Hardware movement which shares most of Open Source Ecology's mission--to give people free resources for making their own tools and means for building things without being beholden to proprietary brands--we can repair and improve upon open source built hardware and make them better. Open Source Hardware is a term for tangible artifacts — machines, devices, or other physical things — whose design has been released to the public in such a way that anyone can make, modify, distribute, and use those things. Persons or companies producing tools and physical objects under an OSHW license have an obligation to make it clear that such products are not manufactured, sold, warrantied, or otherwise sanctioned by the original designer and also not to make use of any trademarks owned by the original designer. 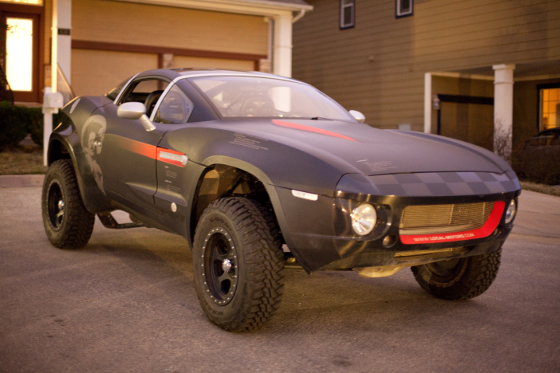 Local Motors' build-it -ourself Rally Fighter, a street-legal roadster. A fully capable off-road prerunner, with the amenities and luxuries of an every-day on road vehicle. A rugged tube chassis construction complemented with the best OEM and performance off-road parts, and all the requisite creature comforts one could desire. The Rally Fighter is street legal and can drive off-road, traversing city streets, interstate highways and dirt backroads or worse like any brand name SUV. Who would have thought car enthusiasts and engineers could band together and create a blue print for a DIY Mad Max-type roadster? 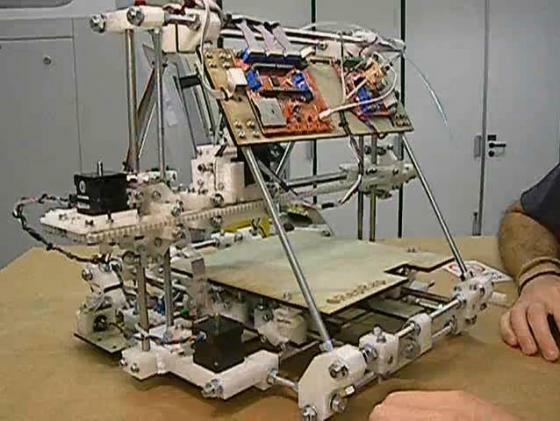 RepRapPro is an open source design company put together by Dr Adrian Bowyer in 2005 that put together up to 3 models of a 3D Printer using off-the-shelf parts and its build-it-yourself designs have struck a cord with the DIY tech community. Within two years, after being available to the public, the RepRap 3D printer building created a mass of tech, gadget, and engineering communities using DIY 3D printers for their own tool making experiments and endeavors. Because of Bowyer's venture, low-cost 3D printers (below $500) became available worldwide and allowed people to access to a very important tool and improve on its open source design. Although RepRapPro under Bowyer is currently no longer a company producing 3D printers as of January this year, the blueprints for continuing the project are still viable and shared as free open source material. Bowyer and company didn't lose their shirt but stopped production while they were still ahead. 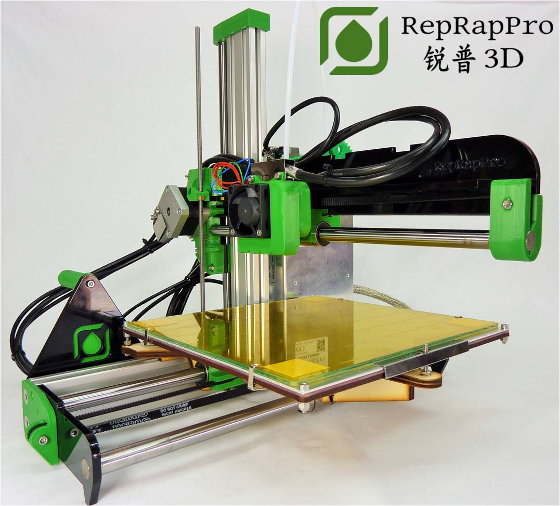 Only RepRapPro China Ltd. is the remaining 3D printer manufacturing company that continues making the RepRapPro model 3D printers commercially which indicates that it can still be a viable business even for Asians who thrive off low profit margins. The latest model RepRapPro 3D Printer being manufactured in China. Dr. Bowyer sought to have the RepRapPro project be able to build its own building parts and components in the future using low cost materials readily available off-shelf but crucial components such as sensors, stepper motors, and especially microcontroller chips cannot be replicated on the RepRap 3D printing technology--engineeers still involved with this project want to be able to have a RepRap model be able to build 100% of its own assembly parts over time as tech evolves to allow such functions to be low cost and viable. 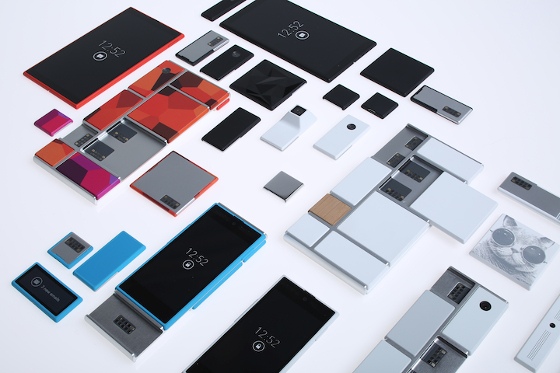 Phonebloks' idea for a modular design smartphone open source hardware line was adopted by Motorola's own Project Ara which is run by Google and will now have an opportunity to see if the idea will be accepted by the public. 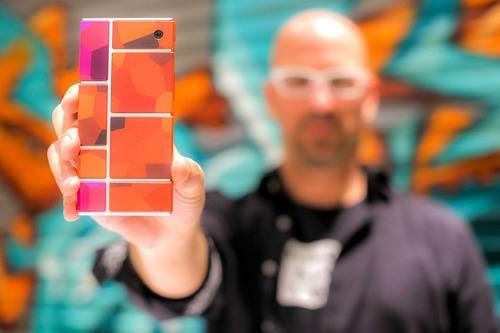 Google is selling a limited run of the Project Ara modular smartphone in Puerto Rico this 2016 and hope to crossover into other Hispanic markets after. 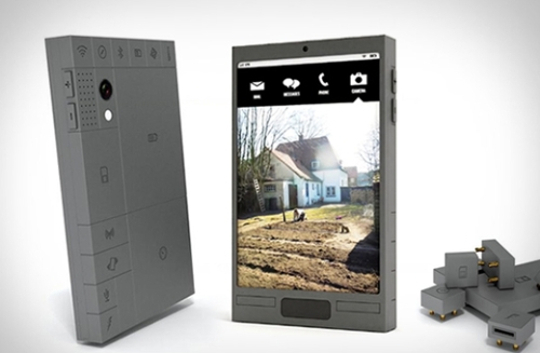 Other Phonebloks modular phone open source hardware projects include ZTE Eco-Mobius from China, Fairphone from the Dutch and Finland's PuzzlePhone. At a time when even the latest high-end smart phones have a lifespan of just 2 years of heavy use or falling out fashion and becoming technically obsolete, modular open source hardware phone builds like the Ara Project is supposed to be a green tech upgrade that will allow future modular designs to last up to 6 years and faulty parts be hot swapping-replaceable (parts can be detached and replace without turning off your phone) by just reinserting a new module into the phone. Most current brand technologies or products have marketing and production design built around making things that become obsolete, don't last as long yet are too expensive and cannot even be legally repaired--because the brands want you to buy the next upgrade. In software and tech--the cost of using proprietary brands is so exorbitant that entire governments have chosen not to be a hostage to such usury and have chosen open source as a better and equally efficient and significantly low cost yet productive option. The same thing is eventually going to occur for building tech and product design for almost all products that can be manufactured. Open Source does not mean that artists, engineers and designers can no longer build their own proprietary tech or products and sell them for the best price they ordain their work to cost. It just provides everyone else with a better choice in terms of cost and long term value. You can still buy that Apple hipster tablet everybody is nuts about. But guys who like Open Source hardware can buy a Phoneblok design and enjoy its lower cost and easy upgrade and repair design.